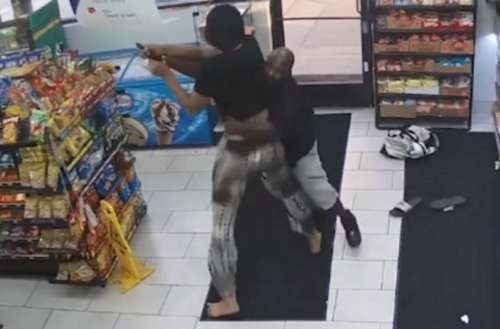 A 29-year-old trans woman in Detroit was standing in line at a Mobil gas station on Monday when 29-year-old Deonton Rogers got behind her. Rogers made “a lewd remark” to her, and when she told him that she was trans he started to argue with her about sexual orientation. As the argument got heated, Rogers pulled out a gun, but this Detroit trans woman wasn’t about to become another murder statistic. So she fought back for her life … and won. You see, trans people are killed at a higher rate than gay, bisexual or lesbian people. From 2012 to 2017, 102 trans people were killed in the United States — 25 of them in 2017 alone. This year 16 trans people have been murdered so far. Most of them died by gunshot wound. This Detroit woman could’ve been number 17, but a combination of quick-thinking, physical strength and luck saved her life. When Rogers pulled out his firearm, the woman quickly grabbed his arm and slipped out of her flip-flop sandals to wrestle away control. As the two struggled near the convenience store entrance, knocking over store displays, she and Rogers were caught on camera. Rogers eventually shot the woman in the shoulder and fled the scene. But the 12th precinct special operations of the Detroit Police Department followed community tips after viewing the recorded incident, and arrested Rogers. Police also discovered that Rogers had a 27-year-old woman waiting in his car while committing his crime as well as her child in the backseat. Police found the child unharmed. 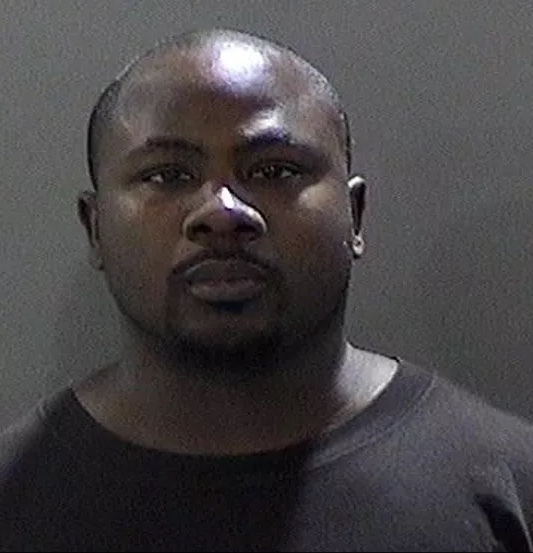 Rogers has since been charged with “firearm discharge causing a serious injury, felonious assault, felony firearm, felon in possession of a fire arm, child abuse in the fourth degree and ethnic intimidation based upon gender.” His bond was set at $2 million. 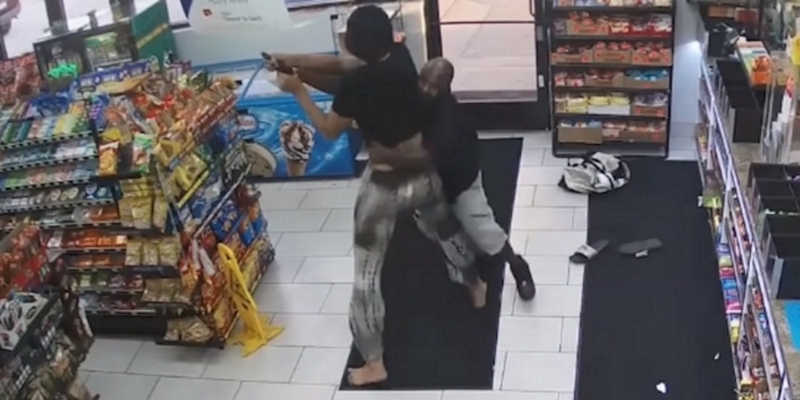 What do you think of this courageous Detroit trans woman and her attacker, Deonton Rogers?